Cornerstone Tool & Fastener, Inc. has branches located in Tallahassee and Crawfordville Florida distributing diverse tools and fasteners to the commercial, industrial, institutional, and residential construction markets. Our unique product mix caters to the construction and maintenance needs of a broad array of customers. We supply anchoring and fastening systems with the equipment necessary to install them. Our extensive inventory of fasteners and tools allows us to provide the right product for the right job at the right price. But product is only half the story. Superior service and knowledgeable personnel complete the package. Services such as product availability, on-time delivery and accurate billing ensure a successful sales experience and solidify a continuing relationship with the customer. Other services include product application training, powder actuated certification, toll-free customer service line, job quotation, tool repair, computerized billing and extension of credit. The key to the wholesale tool and fastener business is repeat customers. Cornerstone Tool & Fastener's dedication to service and training provides us that key. In the early 80s a small company was at a crossroads. It had been established mainly as a volume purchasing vehicle and mill supply for a multi-branch electrical supply company. The idea was that this small company would act as a centralized warehouse to the large parent company. 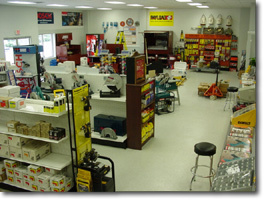 It would purchase all the tools and fasteners and then distribute them to the different branches as needed. The problem was that after several years, this idea had proven ineffective. To solve these problems, a new management and sales team was put into place. By the end of the first year the small company had made several changes. New employee training and product knowledge programs were developed and implemented. Long hours and elbow grease moved the company out of the red and into the black. This new, rapidly maturing company grew into the area's driving force in the tool and fastener business. Several years later, the parent company sold all its branches to a large national company, which gradually converted the tool and fastener company into a construction material supply branch. 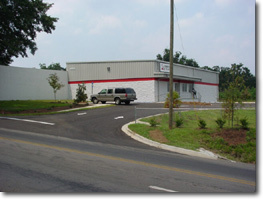 This opened a niche for a new tool and fastener company in the greater Tallahassee area. The management team, with the help of old friends and employees, banded together to open Cornerstone Tool & Fastener Inc. CTF was incorporated in 1995 and has enjoyed continued growth every year since its inception. We are a young company, and yet our roots go back to 1983. The relationships built all those years ago have been tested and remain strong. CTF thanks its customers, manufacturer representatives, and employees that helped us through our early years in the business. We look forward to continued success together in the years to come. Cornerstone Tool & Fastener Inc.
© 2000 Cornerstone Tool & Fastener, Inc.